Squeaks in general can be frustrating and challenging to eliminate. What sounds like one squeak can be several, all coming from different places. It might seem easy to squirt oil here or there but this would only succeed in converting a clean squeak into a messy one. After diagnosis, proper elimination involves tightening screws, cleaning corrosion from metal parts, replacing worn bearings, lubrication with Teflon and proper regulation. Whether this is easy or not will depend on your particular ensemble of squeaks. How often should piano hammers be filed and shaped? When a hammer is struck repeatedly, the strings begin to leave an impression on its face. The original face of the hammer is curved so it strikes the strings at a small specific 'striking point". As the hammer becomes grooved, this point becomes wider, and the tone of the piano changes. Also, as the strings cut deeper and deeper, they sever the outer layers of felt on the hammer. The felt is stretched tightly around the hammer's wooden molding to create tension in its outer layers. When string cuts release this tension, the felt becomes dead and should be removed. When hammers have been filed, it is a good idea to have a little voicing done at the same time. Escapement of Piano action is incomplete. This condition is called 'double-striking", and usually occurs because escapement of the piano action is incomplete. When you press down a key the action in the piano begins pushing the hammer towards the string. Just before the hammer gets there, the mechanism 'escapes" or is pulled away, so the hammer can fly into the string on its own momentum and rebound instantly onto the back check. If the mechanism has not completely escaped, the hammer will hit as it rebounds and bounce back into the string causing a second tone. The solution lies in re-regulation of the action to factory specifications, together with replacement of any badly worn parts. 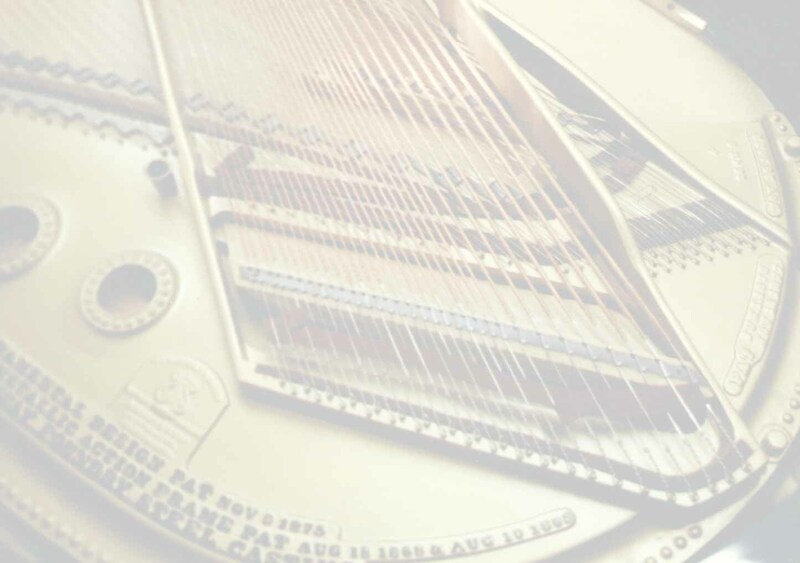 For one thing, the action of a piano needs to be a solid unit to work properly If parts are loose they rattle, vibrate excessively and break prematurely. In addition, the tightness of he screws is all that holds the action parts in proper position with each other and with the piano's strings. The screws are tight when the piano leaves the factory, but they loosen through expansion and contraction of the wood in the action rails and the parts themselves. Tightening action screws is a standard preventive maintenance procedure which should be performed on an "as needed" basis.